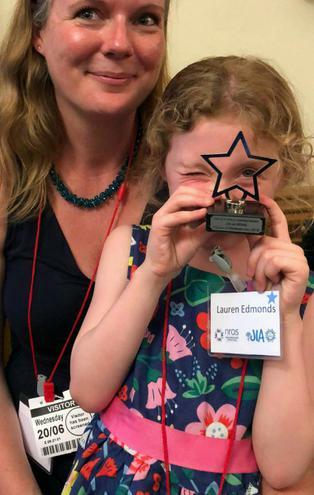 Lauren was invited to The Houses of Parliament today by [email protected] to receive an award for all the fundraising that she has done on their behalf. With two years' of Wear Purple for JIA, a sponsored trampoline bounce with friends and a bake sale, she has raised over £3500 for this charity. This money is used to support children with JIA and their families and to help the children enjoy the lives that other children do. 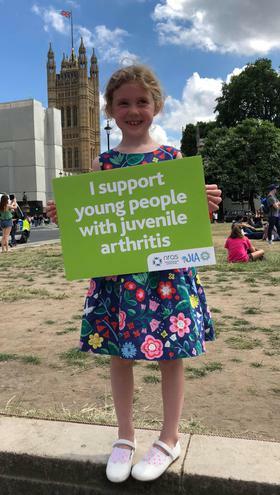 Lauren was diagnosed with Juvenile Idiopathic Arthritis when she was just two. Essentially her immune system is constantly attacking her eyes and joints, causing inflammation and severe pain. Lauren is lucky that, for the last couple of years her condition has been kept under control with fortnightly injections and regular medication. Lauren would like to thank all of you for helping her to raise so much money and for those of you who supported her in Foundation, when she suffered for several months. The Fermor Family have been amazing!